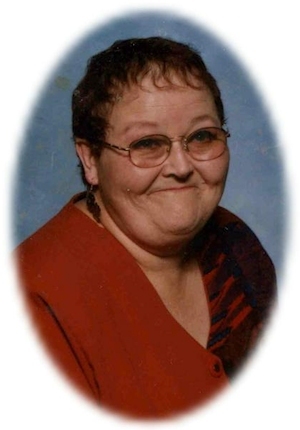 Obituary – Malget, Diana R. “Ann” (Shaffer) « Perry High School Alumni Association, Inc.
﻿Home Ec. Style Shows ’63-’65, Band ’63’64, Red Hots ’63-’64, F. H. A. ’65-’66, Library Staff ’65-’66. Diana R. “Ann” Malget, 59, of Perry, Oklahoma, was the daughter of Ray Maurice and Lois Eileen Evans Shaffer. She was born on April 23, 1948 in Great Bend, Kansas and died Saturday, January 5, 2008 at the Perry Memorial Hospital. Ann was a 1967 graduate of Perry High School. She was a member of the First Christian Church. Ann enjoyed crocheting, collecting angels and playing with her grandkids. Funeral services will be 2:00 p.m. Wednesday, January 9, 2008 at the First Christian Church. Rev. Martin Foster will officiate. Interment will be in Grace Hill Cemetery. Services are under the direction of Brown-Dugger Funeral Home. A family visitation will be held Tuesday, January 8, 2008 from 6:00 to 8:00 p.m. at Brown-Dugger Funeral Home. Memorials may be made to the Lupus Foundation in care of Brown-Dugger Funeral Home, 1010 N. 7th Street, Perry, Oklahoma 73077. Ann is survived by two sons, Rev. John David Malget, Jr. and his wife, Sherri, of Houston, Texas and Ray Michael Malget and his wife, Becky, of Perry, Oklahoma; one daughter, Sandra Kay Malget and her husband, Tom Stanley, of Perry, Oklahoma; six grandchildren, John Domnick Nick Malget and Kristin Ann Malget, both of Houston, Texas, Thomas Brian T.J. Stanley, Jr., Jean Louise Scout Stanley, Caroline Rose Malget and Mary Elizabeth Malget, all of Perry, Oklahoma; one brother, David L. Shaffer of Tulsa, Oklahoma; numerous aunts, uncles and several nieces and nephews. 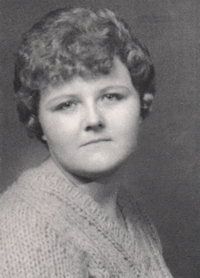 She was preceded in death by her parents, Ray and Lois Shaffer and one sister, Sandra Kay Stickney.